Why study in Southern Cross University Hotel School? The Hotel School was founded in 1989 as an integral part of Inter Continental Sydney with the vision of creating Australia’s best talent in Hospitality. The courses offered at the Hotel School focus on hotel operational skills, management practice in the tourism and hospitality industry and the skills needed for continued learning in a changing global business environment. 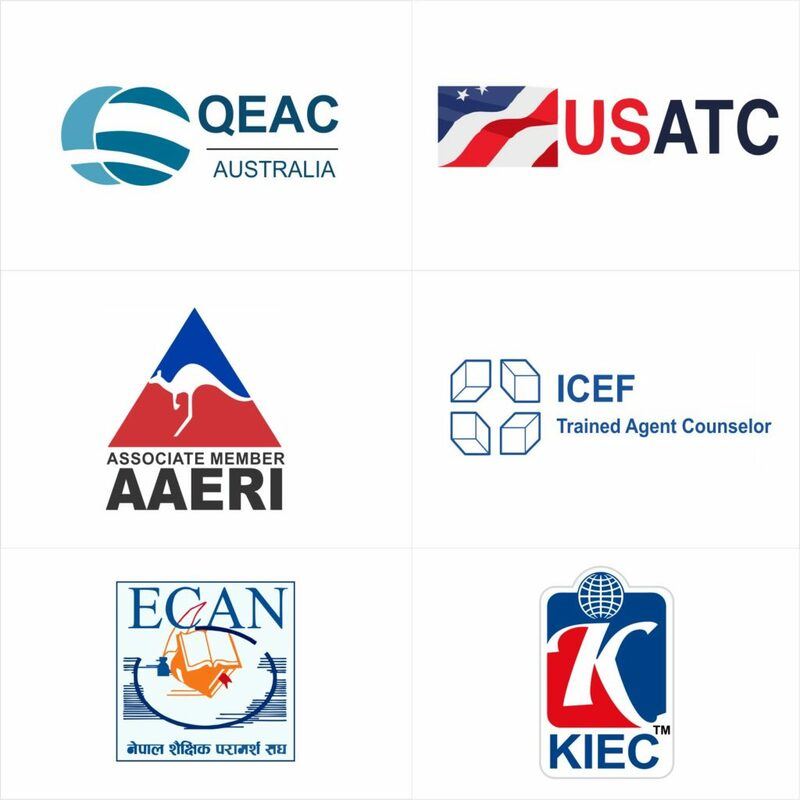 Students develop into dedicated professionals with qualifications that are recognized and highly regarded internationally. The Hotel School is a unique partnership between Southern Cross University, an Australian public university, and Mulpha Australia, a major investor in the hotel industry. It is located in central Sydney and Melbourne where the student can find quality education in the very affordable cost. Why study in Western Sydney University? Hawkesbury, Parramatta, and Penrith. It is Ranked in the top 2% of universities worldwide and providing quality education for many international students if a very affordable cost. Also, this university is offering a range of scholarships for international students. Southern Cross University is an Australian public university, with campuses at Lismore and Coffs Harbour in northern New South Wales, and at the southern end of the Gold Coast in Queensland, Australia. 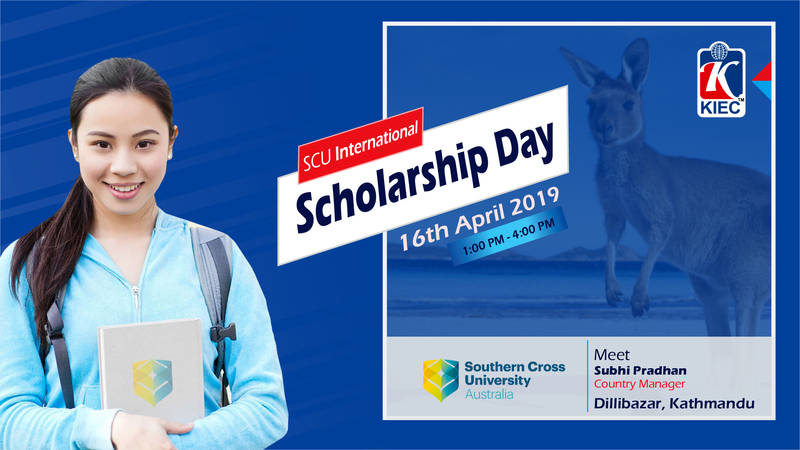 It gives us an immense pleasure to announce that we are conducting “SCU International Scholarship Day” at KIEC Dillibazar Office on 16th April 2019. 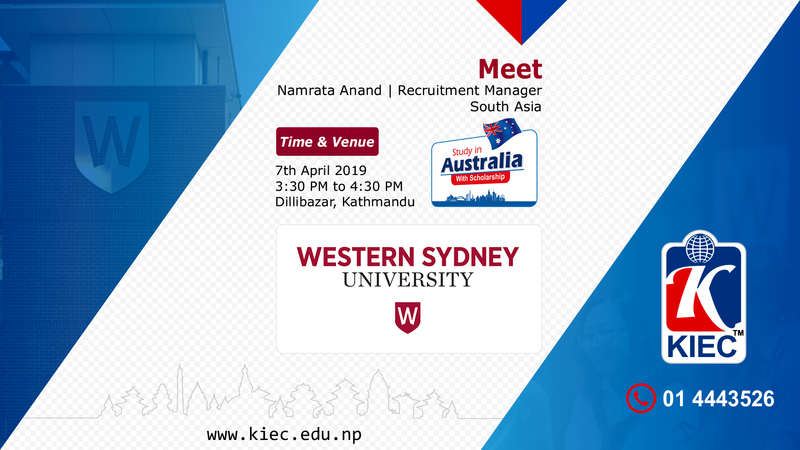 This event is a wonderful opportunity for the potential students to grab useful information on the procedures of applying to Southern Cross University and to know more about the scholarships opportunity and requirements for international students. We literally don’t want you to miss this opportunity. Most importantly, kindly bring along your academic documents for spot admission and scholarship assessment. 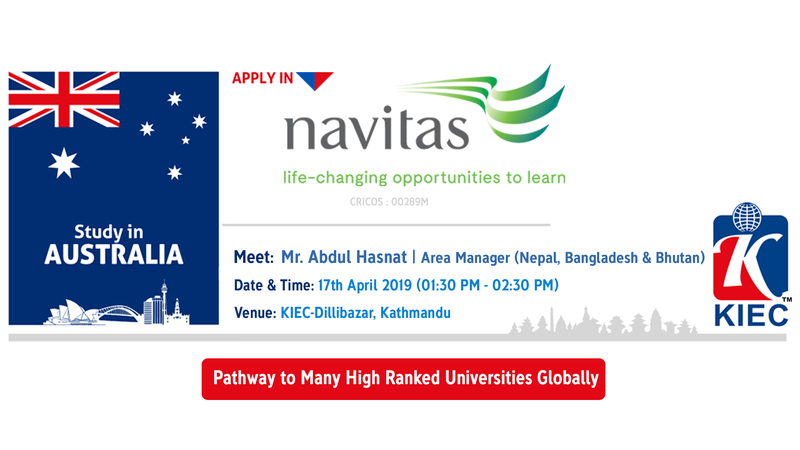 Why Study in Navitas Managed Colleges & Universities? Navitas is a leading global education provider that has helped generations of learners transform their lives through education.It creates life-changing opportunities to learn by delivering an extensive range of educational services to over 70,000 aspirational students across its global network at 120 colleges and campuses in 24 countries each year. UT is ranked as one of the best environments in the country to live, learn and grow. Nestled on a picturesque downtown riverfront campus, UT is a medium-sized private university offering more than 200 programs of study. Get ready for the best four years of your life. Explore your dreams. Discover your talents. Dive into one extraordinary experience after another. On a globally connected campus alive with possibilities. In an inspiring riverfront setting. In tropical Tampa Bay. And in all the amazing places your studies will take you. Why Study at Edith Cowan University, Perth? Edith Cowan University is an Australian public university located in Perth, Western Australia. It was named after the first woman to be elected to an Australian Parliament, Edith Cowan, and is the only Australian university named after a woman. Established in 1991, ECU has grown rapidly into a quality university with excellent student satisfaction and internationally recognised research. Students and graduates at ECU are amongst the best in the world, with many fulfilling crucial roles in our society. Their outstanding achievements have been recognised throughout Australia and internationally through awards, grants, scholarships and prizes. ECU is committed to widening participation and breaking down barriers that restrict entry to education, and we are continuing our work on the enhancement and development of alternative entry pathways to higher education.